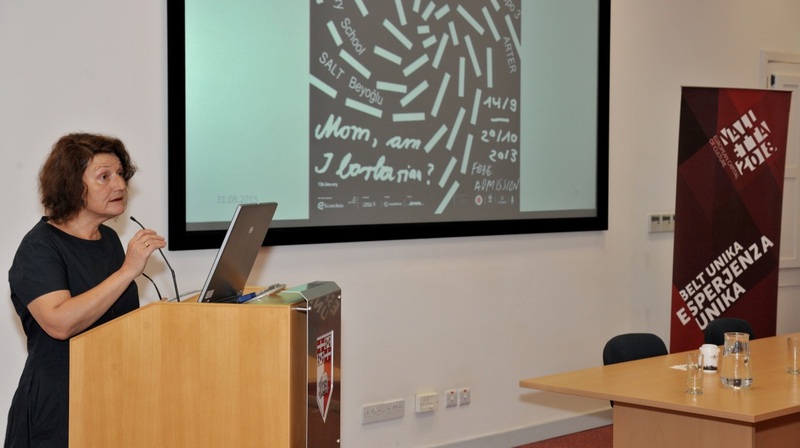 As part of the second edition of the Valletta International Visual Arts Festival (VIVA), the Valletta 2018 Foundation this morning opened the second edition of its Curatorial School, taking place till the 4th September, at the University of Malta Valletta Campus. Valletta 2018 Foundation Chairman Jason Micallef said: “The intensive one-week Curatorial School programme is developing the visual arts context by bringing international guest speakers from various European institutions to Valletta. It is indeed a pleasure that the Curatorial School and the VIVA programme are attracting an international audience providing local artists with a platform to showcase their work”. VIVA Artistic Director Raphael Vella added: “The Curatorial School brings important international curators of contemporary art to the Valletta campus of the University of Malta to present their latest projects and ideas to a local audience. This year, the school is enriched by a series of workshops that permit participants to interact with the invited curators in smaller groups. This is a unique opportunity for budding curators and contemporary artists based in Malta to come into direct contact with the latest theories and practices of contemporary art”. As a result of the first edition of the VIVA Curatorial a number of exhibitions and collaborations between emerging curators have developed with events taking place in Malta and abroad. This is a significant and important part of the cultural legacy Valletta 2018 will foster. The theme for this year’s programme is Curating: Communities and Contexts, and deals with the relationship between exhibition, narrative and audience; contextual art; engaging audiences; socially engaged practices in contemporary art; art in public spaces; globalisation and the curatorial field. Some sessions will present individual exhibitions curated by guest speakers and international artists talking about their own practice. This year’s curators include Fulya Erdemci (curator of the 13th Istanbul Biennial), Simon Sheikh (curator and professor of curating at Goldsmiths in London), Mai Abu ElDahab (curator of Liverpool Biennial 2014), Paul Ardenne (art critic and curator of Luxembourg Pavilion at Venice Biennale, 2015), Bassam el Baroni (curator of EVA Biennial in Limerick, Ireland, in 2014) and Adam Budak (chief curator at the National Gallery in Prague). Other speakers include Lennard Dost (freelance curator and art critic, artistic director of Nieuwe Vide), Mare van Koningsveld (freelance curator), Libia Castro and Olafur Olafsson (artists), Ferhat Özgür (artist), Gail Feigenbaum (associate director at the Getty Research Institute), Leo Delgaauw (scholar) and Iury Lech (director of MADATAC, Madrid).